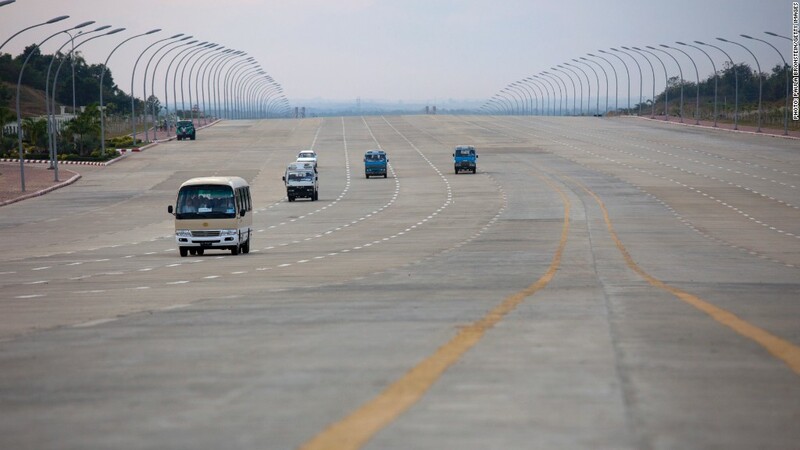 A nearly-empty highway on the road to Myanmar's capital city of Naypyidaw. Ford announced Monday it will start selling its cars and trucks in Myanmar, becoming the first major automaker to open a showroom in the former pariah state. The automaker is the latest in a series of major international companies to enter Myanmar, which had for decades been among the world's most cloistered states. Japan-based Suzuki is also operating in the country, and the automaker is hoping to open a manufacturing facility. In Myanmar, also known as Burma, Ford is entering an auto market in which new cars are still rare. The country's roads are dominated by aging sedans and wheezing, decades-old buses imported from Japan. "We see tremendous potential and opportunity for Ford in Myanmar, and we're looking forward to serving customers in this exciting market," said David Westerman, a regional manager for Ford in Asia Pacific. Ford (F) said it will import cars to Myanmar from plants in North America and Thailand. F-Series pickup trucks and the smaller Ford Ranger will be among the first models up for sale. Ford is partnering on the project with Capital Automotive, a subsidiary of Capital Diamond Star Group. The scars left by decades of oppressive rule and international isolation are still visible in Myanmar. As recently as 2007, the former military junta was engaged in a brutal crackdown on the Saffron Revolution, a movement led by the country's Buddhist monks. The sudden boiling over of tensions follows sectarian troubles that killed scores of people in the west of the country last year.